Liverpool FC and Merseytravel have worked together with local travel operators to ensure that extended travel services are available to help supporters get home from the game against Swansea City on Tuesday December 26. LFC urges fans to check the Boxing Day timetables and plan their journey to ensure they are aware of all the available travel options. Certain services will run to a reduced timetable and will finish earlier than usual. Merseyrail trains will run between approximately 9am and 8.30pm, only stopping at selected stations; check the Merseyrail timetable for details. Liverpool Lime Street mainline station will be closed - no trains will run. For more information visit merseyrail.org/christmas-timetables/boxing-day-trains.aspx. Many bus services will operate and will follow their normal routes but will finish earlier than usual, around 6.30pm to 7.30pm. Check Merseytravel’s Christmas and New Year Transport Guide for details. Soccerbus will run frequent shuttle buses from Sandhills Station on the Merseyrail Northern Line to Anfield. Buses will run for two hours before the match (last bus from Sandhills Station is approximately 15 minutes before kick-off) and for 50 minutes after the final whistle (subject to availability). The 917 express bus service will run direct from Liverpool city centre to Anfield every 10 minutes. The LFC Fan Support team will also be on hand to assist supporters using buses departing straight after the game. For more information on Stagecoach Christmas timetable, click here. The Kingsway (Wallasey) Mersey Tunnel and the Queensway (Birkenhead) Mersey Tunnel will both be open. Taxi pick-up points are available outside of the stadium and on major routes. Taxi One operates a taxibus service from St Johns Lane, Liverpool city centre, direct to Anfield. A frequent service operates from three hours prior to kick-off. Taxi One return service operates from the corner of Anfield Rd/Sleepers Hill, opposite the Isla Gladstone conservatory, back to the city centre. The free LFC Cycle Hub is available on Anfield Road. The hub allows fans who cycle to the game to park their bike safely and securely with an attendant. 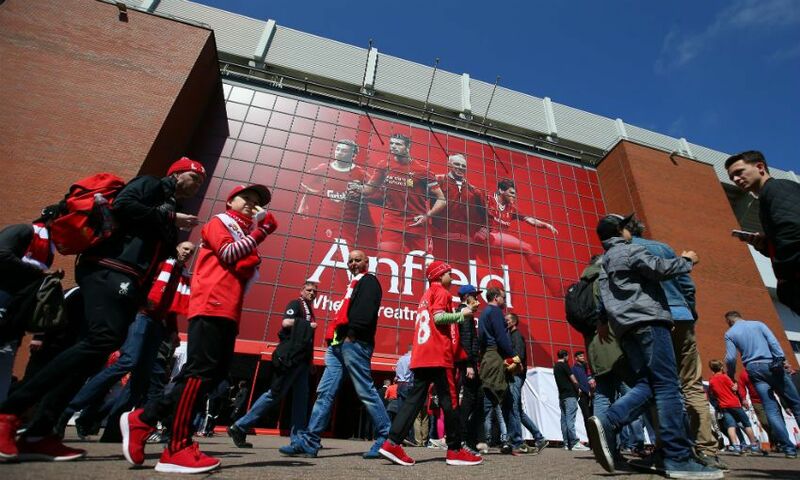 Fans are also being encouraged to avoid the crowds and get to the stadium early to enjoy Anfield’s Fan Zones. The Fan Zones located in Paisley Square and Anfield Road are open four hours before kick-off and are ideal for supporters to meet before the game. Travel information is also available on the Merseytravel website at merseytravel.gov.uk/lfcboxingday. For more advice on travelling to Anfield please visit liverpoolfc.com/gettingtoanfield.